Recommended Tools and Proven Strategies to Immediately Begin Charging What You Deserve and Build a More Profitable Business. The backbone to the all of the Charge What You Deserve programs is the Lifestyle Fee-Setting Formula. This is an effective and fresh way to approach fee-setting for service professionals who are ready to begin charging what they deserve. $5.00 of each order will be donated to the Atlanta Humane Society. The AHS is the oldest private charitable organization in Atlanta, founded in 1873 following a visit to the city by Robert E. Lee. The animal charity was originally chartered to protect women, children, and animals and remained a child protection and animal welfare society for 79 years. The Shelter, now a widely recognized no-kill pet adoption center, clinic, and educational program provider, was originally located on Marietta Street and moved to its present location at 981 Howell Mill Road in the 1930s. "Find out how you can easily add 50% or more to your fees and attract more clients with the utmost of integrity"
I created the Charge What You Deserve Coach in a Book to offer an affordable, convenient and effective tool that you can use any time. It’s like having your own personal, fee-setting coach with you any time you need. 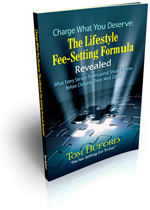 The Coach in a Book includes the incredible Lifestyle Fee-Setting Formula. Why waste your valuable time and money when I’m exposing the most costly mistakes -- and the most profitable strategies -- of some of the most successful service professionals around? What's the fastest way to begin charging what you deserve? Get inside the minds of people like you who average over $700 per HOUR and learn exactly how they do it. What's the slowest way? Stumble along for years hoping you hit the right strategies by trial and error. The wait is over. 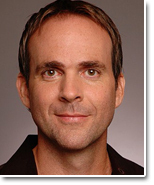 Learn more about this powerful, proven lead generation system!